In Music We Trust - Casper and the Cookies: Oh! 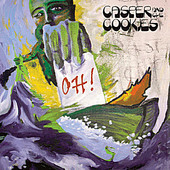 Sounding like a lost record from AM pop's glory days, Casper and the Cookies (besides having a horrible name) make Oh! glow with its influence from yesteryear, but plant its feet firmly in today with its indie-pop spin. A fresh, hook-laden record that makes you smile, Oh! is all bubbly melodies, happy-go-lucky rhythms and good times wrapped into lo-fi indie-pop that gets a good boost from its more hi-fi, AM radio pop influences. This is crisp, clean, and punchy pop music that makes you want to sing along and jump around as well. You can't feel bad when listening to music this good. I'll give it a B+.